Wassili Zafiris is (1964) expert in facilitating change. In his work as accredited meta-coach, neuro-semantic and NLP Master trainer he facilitates change in individuals as well as organizations. Wassili is the co-creator of Meaningful Profit (a new model of doing business) and creator of a new model about motivation as well as a new way of working with depression and many other techniques and applications in coaching, team building and leadership. Would you like to invite Wassili as speaker for your congress, network meeting or innovation platform? Employability: Lecture, Conference Facilitator, Workshop, Conference host, Training. Book Wassili for a speaking engagement about self-actualization, personal and business transformation. The world’s first recipe of the mindset of a top chef! Over 10.000 copies sold! Learn how to think as a Michelin star chef. Book Wassili to talk about mastery. Book Wassili for a speaking engagement about teamwork at the highest level. A new therapy for depression? Learn about the misconceptions of happiness and how to become happy. Book Wassili for a speaking engagement about happiness, depression and mazzelftof. "Wassili is a congruent speaker who inspires many. His talks are animated and to the point, inviting his audiences into his world and then touching them personally." You can! Contact Wassili for more information about the possibilities of tailored sessions. See the website of the Speakers Academy for more information and booking Wassili Zafiris as a speaker. ‘Do ‘good’ or do ‘well’’? Masterclass: Resilience in times of stress, disruption and adversity: The heart of business continuity management. Resilience and finding a job over 50. "Confronting, Funny, Engaging! As if I was shaken. Made me think." IIOPM Conference, Psychiatry, Doncaster, UK, 8 October 2018, Stress and relaxation in the workplace. Nijenrode Business University, Masterclass Digital Leadership, 17 december 2018, The impact of the digital transformation for cooperations: Masterclass Resilience & Personal Leadership. Nijenrode Business University, Masterclass Digital Leadership, 3 juli 2018, The impact of the digital transformation for cooperations: Masterclass Personal Leadership. MetaGroupHolland, 28 juni 2018, Trauma, PTSD and depression training about my book Happiness is Depressing. Co-trainers Frank Pucelic, Lucas Derks. 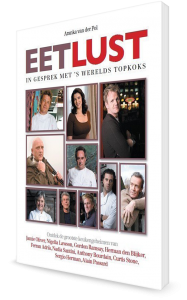 De Master Spreek, 8 juni 2018, KNVI book presentation. Presentation: Stress, the brain and dealing with change. NVNLP May congress, 26 MEI 2018, Modelling & Mastering Depression. KNVI congress, Informatie is m8, 10 NOVEMBER 2017, The digital transformation: Leading in a world of unpredictable change. Gemeente Almere, Change and transformation, 21 SEPTEMBER 2017, Brainstorm session with a 100 leaders. 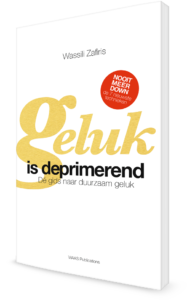 May congress of the NVNLP, 27 mei, Wassili will be presenting his latest developments about how to work with depressed clients from a coaching perspective. 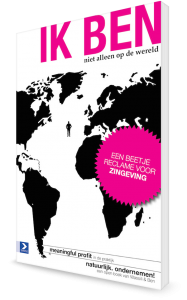 GGD Hollands Noorden, 31 januari, about Personal Leadership: the inner landscape of change. Vlieland culture route, 17 december, Wassili will be reading from is latest book Happiness is depressing combined with poems from Gerda Posthumus in the Old Barn of Vlieland. The Dutch Society of NLP, 26 november, Wassili will be speaking at the annual NVNL congress. He developed 7 new NLP techniques to change depression into Zest for life. Members meeting DECO (fashion retail association), 6 juni, about Teamwork, the essence of cooperation. Human Scale Amsterdam,12 mei, about the essence of connection and cooperation: Get connected! NLP congress Praag, 24 oktober, about ‘Happiness is Depressing’ at the biggest NLP congress of Tsjechië. Bitcoin Wednesday Amsterdam, 7 oktober, about ‘culture and money’. ICF Congres Bulgarije, 30 september, ‘expert coach’. Therapy day NIP (Dutch association for psychology), about ‘meaning and crisis’. Zijactief Limburg, about ‘Unleashing your talents’. Dutch Medical association, about ‘Motivation and work’. Nyenrode Business University Alumni Career event, about ‘meaningfulness and leadership in your career’. National Psychology congress, about ‘resilience’. International Coaching Federation, Greek Chapter, ‘Resilience in times of crisis’, Athens, Greece. ‘All Energy Day’ Climate KIC, about ‘Entrepreneurship and Energy’. Free Mason Guild Gouda, Entrepreneur association about ‘the power of failing as a entrepreneur’. Hypnotherapy congress about ‘resilience & depression’. And many other appearances and (short) workshops.